Sandhill Cranes. Platte River Valley, Nebraska. 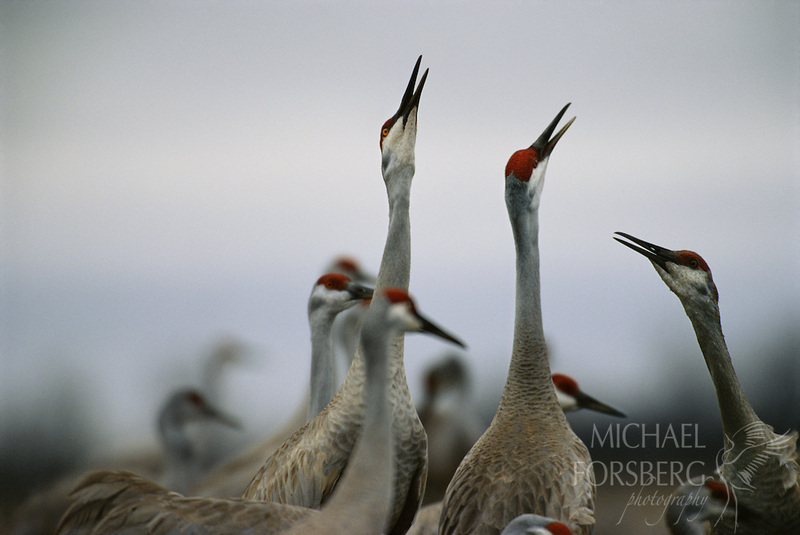 With heads above the crowd, two sandhill cranes unison call to reaffirm their life-long pair bond. Unison calls are loud and rapid synchronized duets. When the trumpet-like staccato calls are given, the male's head is held higher than the female's and his call is lower pitched and less rapid. The crane's unison call is a true symbol of wilderness.